Choose from fine dining to down home cafes and everything in between. 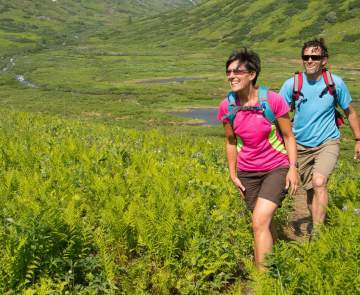 The Mat-Su Valley has dining options in every region for every taste. 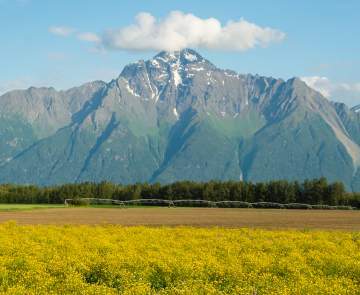 One of the unique things about the Mat-Su Valley is that it's the agricultural hub of Alaska, and many of these restaurants use ingredients grown locally right here in the Mat-Su Valley. The farm-to-table dining experiences are plentiful. We often tell our friends who travel from Anchorage that they've traveled farther than their food has when dining in Palmer. Turkey Red in downtown Palmer, for example, exclusively uses locally grown vegetables on their menu, and they aren't alone - you'll find fresh vegetables such as lettuce, onions, carrots and more on your plate. Alaska Grown - none fresher! Talkeetna has the Wine Spectator-award winning Talkeetna Alaskan Lodge for fine dining, but also boasts local food trucks in the downtown area as well. 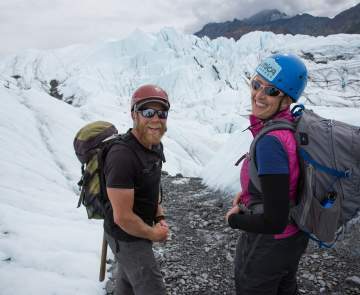 The food options are as diverse as the people in the Mat-Su Valley. Don't be surprised if your portions are Alaska-sized. This is just part of our style. Bon appétit! 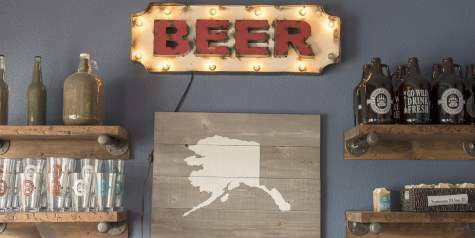 The Mat-Su Valley is home to five microbreweries, contributing to a growing craft beer scene in Alaska.